Like most good adventures, it started as a questionable idea. 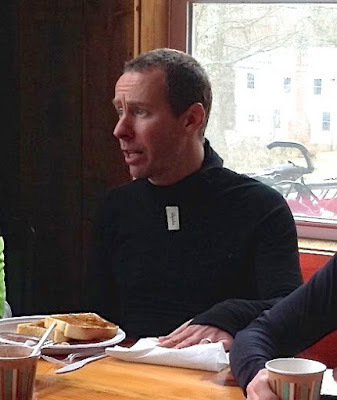 A group ride big enough to offer three distance options, in late March, in wintry Western Massachusetts? In the end, the lure of a pile of pancakes soaked in freshly boiled maple syrup was enough to draw dozens of riders into the chill and up the hills. 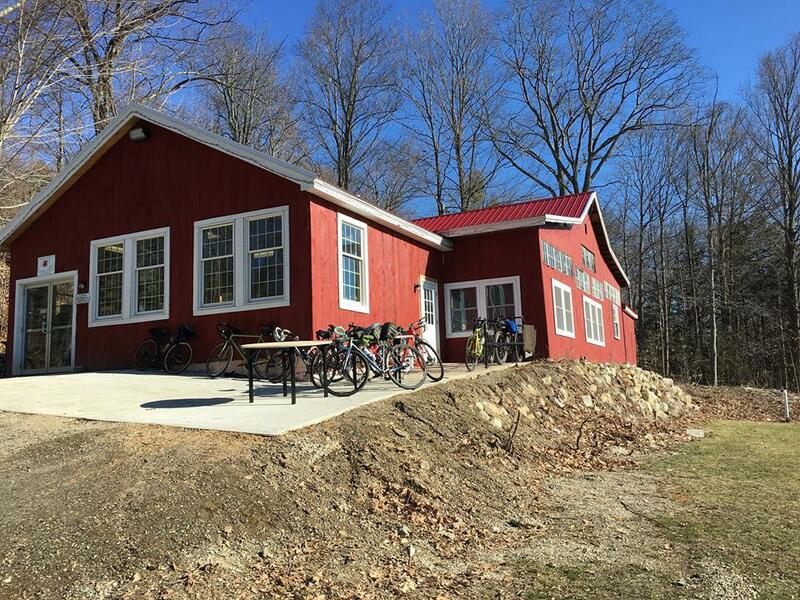 The event was planned and executed by Speed and Sprocket Cycle Works, a Pioneer Valley-based, small business focusing on all things bike-related. 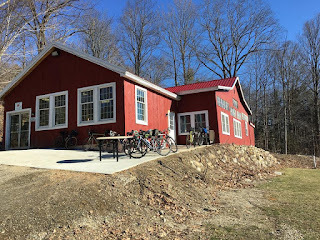 I was on the "medial" ride (which I learned is a reference to a young adult maple tree), which led 41 of us through 25 miles of the hills and dales of the Valley. The mood was jolly and the food was delicious. We were officially welcomed by a man I can only assume was the eponymous Steve, who told us he was a friend to cyclists, and that we could use their restroom any time we were riding through town. 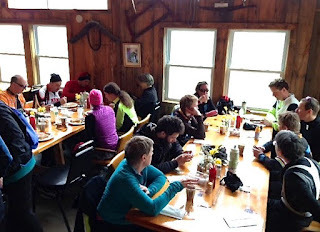 After the meal, many lingered to chat near the wood stove that was boiling sap in the back of the large, open room that held the dining tables. After lunch, we rolled out into gorgeous late-winter views of farm fields stretching in all directions, with hills picturesquely looming on the horizon. None of us got any photos of the scenery, though, because, as one rider put it, "It was too cold for taking pictures!" Better to keep rolling and retain inside our layers what warmth we had developed. Rollers, lots of rollers, through Westhampton, then a steady climb to Williamsburg center, for the second stop of the day: Lawton Family Sugarhouse. The tiny storefront featured a small wood stove throwing heat next to a quickly-occupied rocking chair. At Lawton's, which has been family-owned for seven generations (only in New England, folks), they boil the precious stuff in a separate area just back of the store. Anyone can walk in there and ask questions. They also offer beef products from their own grass-fed cattle. Sweet treats galore, inexpensive and delightful, fueled us for the final push down through Florence and back to the start point. 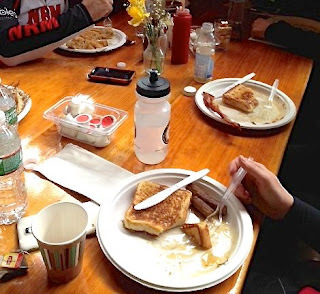 As we pulled up, full of good food and high spirits, so did the intrepid 61-milers, who'd been out since early morning. They seemed jolly and none the worse for wear. The smart 15-milers were long since home and warm. Many thanks to Sean and Liz of Speed and Sprocket for a fine route and a great time that aptly honored Massachusetts Maple Weekend. Great write up and a great time! Thanks, Marc. Heard you did the whole 61-miler on a slick-shod fat bike, so kudos to you, too.